A view of the trail along the main paved loop. Coppertone and I decided to do a bit of walking prior to eating at a Mexican Restaurant in Napa we like. Oxbow Preserve was on our not-yet-done list so we decided on it even though we know it would not be terribly long. Just under a half mile of the trail was paved with the rest being easy to follow singletrack. We found a great discrepency between official preserve trail map and what's actually on the ground. The most glaring is the 90 degree error on where North lies. Some of the trail differences could be chalked up to rogue trails that have since been adopted as a main trail, but not all. I think the map may have been based on some original plans that were modified in some way during installation. Zipping back and forth to try and get all of the main trail segments we still ended up under 1.25 miles, so this is not the place to go for a serious walk. But it may serve as a nice pre or post meal walk if eating at the nearby Oxbox Market. Napa Valley is recognized as one of the premier wine growing regions in the world and a prime tourist destination 50 miles from San Francisco. The broad valley spreads alongside the lush Napa River oasis between two mountain ranges. Agricultural lands blend smoothly with a myriad of regional and state parks and thousands of acres of public greenspace. Day Hikes Around Napa Valley provides the descriptions and directions to access the area's hiking opportunities. Trails can be discovered throughout the valley, across mountain ranges, alongside bays and rivers, and through cool forests. Highlights include steep canyons, secluded redwood forests, the largest freshwater lake in California, a massive petrified forest, rugged rock formations, historical sites, protected wildlife habitats, and expansive ridgetop vistas to the Pacific and San Francisco. A wide range of hikes accommodates amateur to avid hikers, from urban strolls to panoramic peak trails. Also included is comprehensive trail access information for dog owners. 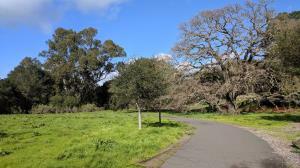 A companion guide is Day Hikes Around Sonoma County.